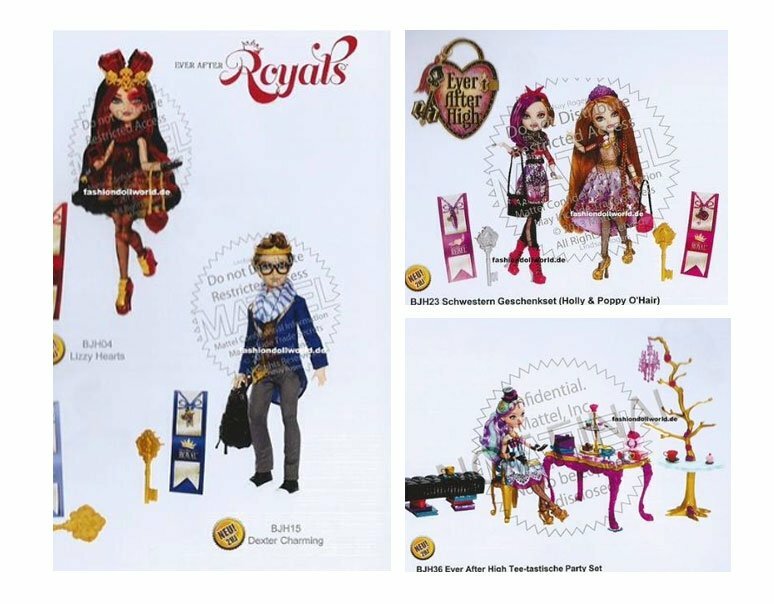 You will soon have available more Royal and Rebel dolls which have been included in the mattel catalog this year. Two basic line dolls: Dexter Charming and Lizzie Hearts. We will be updating new images for this new dolls! Just follow us on facebook! I really want the O’Hair sisters and Lizzy Hearts. I would like a doll for Duchess Swan & Daring Charming. When will they be released? How can we get clothes? Can’t wait for Lizzie. also Janie I agree with you they should make those dolls and clothes it would be cool cause the only Madeline I have is the Getting Fairest and I can only put her pj’s on her!!! WHEN is Lizzie Hearts coming out. 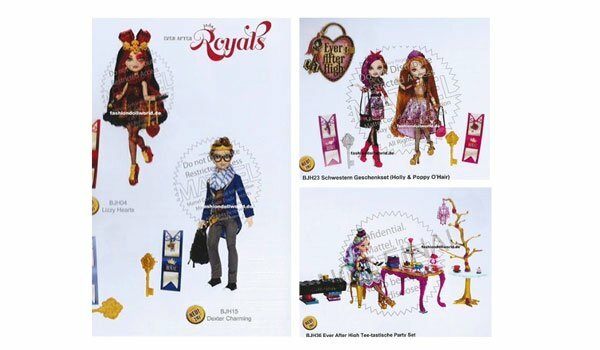 I really want the Lizzie doll and a Duchess doll!!! Also why do people say she is selfsih she is not she just wants a Happily ever after!! Out of wave one I need Madeline and Cupid (but I’m not going to get Cupid cause I don’t really like her), and Lizzie when she comes out! Also I really like the Hat-Tastic party Madeline. Janie they are going to make a Duchess Swan doll so yay can’t wait, and they are going to make Daring Charming doll too also a Hopper doll. I have Holly and Poppy and Dexter really want Lizzie and Hat-Tastic Madeline. I have Dexter, and the O’Hair sister’s. and I want Lizzie and Daring, did you know that Daring and Dexter have a sister? I can’t wait for the daughter of the Snow Queen to have a doll and a webisode she is sooooooooooooo pretty!!! Can’t wait for Belle’s daughter. They have trade-marks for Belle’s daughter, Rosebelle Beauty, and Isabelle Beauty. can’t wait. I need there to be a daring charming. I love his character so much ,he is the reason I got in love with ever after high. He is one of the biggest roles in the books so please make him soooon!! !